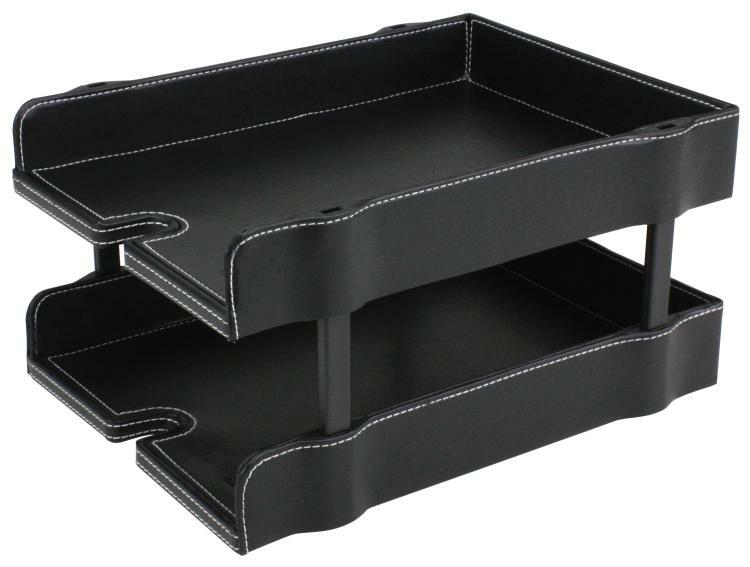 Black x 80 pcs Dark Brown x 0 pcs. 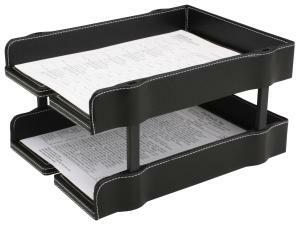 Stackable IN & OUT Document Tray, 2-tray/Set. Elegant white-stitched style, easy assembly stackable feature with 4 poles, fit letter size and A4 paper.